His Holiness Benedict XVI appointed Most Reverend George Lucas as the fifth Archbishop of Omaha, Nebraska. He was installed at St. Cecilia Cathedral on July 22, 2009. 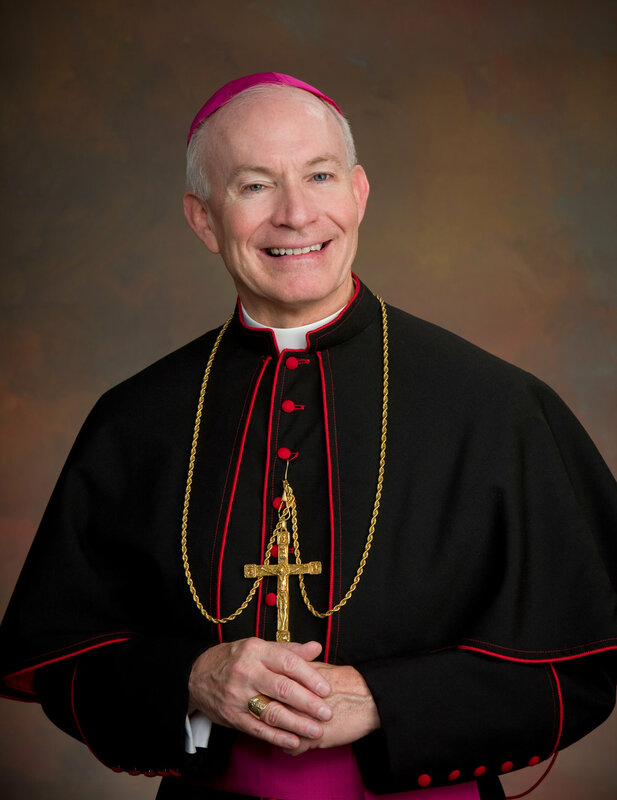 Before his installation in Omaha, Archbishop Lucas served for ten years as Bishop of Springfield, Illinois, where he was ordained Bishop in December 1999. Prior to his ordination as Bishop, he served as chancellor and vicar general of the Archdiocese of St. Louis and rector of Kenrick-Glennon Seminary. Archbishop Lucas has served on various committees of the United States Conference of Catholic Bishops (USCCB), and most recently served as Chairman of the USCCB Committee on Catholic Education. He currently serves on the board of directors of Catholic Relief Services, on the board of trustees of Kenrick-Glennon Seminary in Saint Louis, and on the board of regents for Conception Seminary College in Conception, MO.